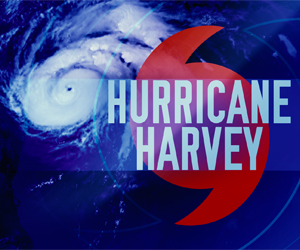 Hurricane Harvey was the strongest storm to make landfall in the Texas Coastal Bend area since Hurricane Carla in September 1961. The flooding resulting from Harvey’s flooding is one of the worst weather disasters in U.S. history. It’s estimated the storm damage will amount to billions of dollars. Even though Hurricane Harvey is off the front page of daily news, there’s no doubt the impact of this storm is far from over. The real heavy lifting of recovery and reconstruction is underway, and will continue for quite some time. With many connections to the Houston area, the founders of DeVere Insulation Home Performance and its affiliated companies have been moved to assist. To this end, DeVere Insulation Home Performance along with DeVere Insulation, Delmarva Insulation, Delmarva Spray Foam, Foam InSEALators, Liberty Insulation, Southland Insulators and The Fifth Fuel have donated $28,000 to help with recovery efforts. Bob and Carolyn DeVere along with Jerry and Nancy Palmer have selected two Texas charities to receive these funds – Samaritan’s Purse and Tomball Emergency Assistance Ministries. Each organization received $14,000 to aid in their mission of helping local families recover from this tragedy. We are proud to support our local communities and support others during times of tragedy. If you are moved, we encourage you to donate to one of these Houston-based organizations to help with Hurricane Harvey recovery efforts.